Private equity firm Unison Capital Inc. has put bubble tea franchise Gong Cha on the market, a deal estimated at up to $442 million, as the South Korea-based franchise operator is gearing up for further global expansion. Unison Capital is offering 100% of the Taiwan-style milk tea brand, four years after acquiring its South Korean operations for 34 billion won ($30 million), according to investment banking sources on Jan. 21. Gong Cha, up for sale, includes its global headquarters which runs stores across 16 countries. Unison Capital took over Gong Cha’s global headquarters, Royal Tea Taiwan, for 40 billion won in 2017 through the South Korean unit. If the sale succeeds, it will mark the first exit of a South Korea-based company by an investment firm after absorbing its global headquarters. The entire stake in Gong Cha is estimated at 400 billion to 500 billion won ($354 million to $442 million) at about 15 times EBITDA (earnings before interest, tax, depreciation and amortization), applying the industry’s average multiple of 15~17. Asia-based Unison Capital controls 76.9% of the company, with the remaining 23.1% stake owned by Martin Berry who introduced the bubble tea franchise to South Korea in 2012 with his wife and sold the majority stake to the private equity house in 2014. Leading food and beverage companies in South Korea and private equity firms have shown interest in Gong Cha, lured by its solid cash flows and EBITDA margin of 24%~25%, compared with Starbucks’ 21%, according to the sources. But no strong candidates have emerged yet. Founded in 2006, Gong Cha plans to expand its presence into 26 countries by 2021, including the UK, Mexico, Thailand, Indonesia and Cambodia, bringing the total number of stores to 1,700 from the current 900, Gong Cha Korea CEO Ui-yeol Kim told the Korean Investors. 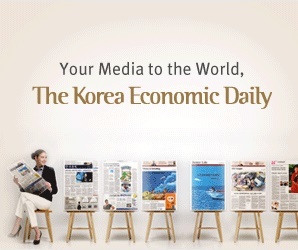 In South Korea, it runs 448 outlets, up from 277 in 2014. Competition among franchised stores, minimum wage increase and sluggish domestic demand are eroding the franchise industry’s appeal to investors. But Gong Cha’s less reliance on franchised outlets for sales than other franchise operators may underpin its growth outlook in the estimated $6 billion global tea market. It derives more than 70% of sales from directly managed stores in South Korea and Japan, as well as royalties from franchisees. Gong Cha’s 2019 EBITDA is projected to rise by nearly 40% to 45 billion won from last year’s 32.5 billion won which represents a 90% jump year-on-year. Sales are forecast at 180 billion won in 2019, up from 134 billion won in 2018. Higher unit price than other drink brands and small store size bolster Gong Cha’s free cash flows. Its cash conversion ratio, or the proportion of EBITDA that is converted to cash, is 87%, above Starbucks’ 62%, according to Gong Cha. Goldman Sachs is handling the sale of Gong Cha. Unison Capital manages more than $3.6 billion of assets with operations in Japan, South Korea and Singapore.